There's a distinct possibility that we may be able to go a few more years before a remake of Alex Proyas' The Crow goes into production. In the past few months it has been revealed that Bradley Cooper, who was set to star, and Juan Carlos Fresnadillo, who was set to direct, have both decided to walk away from the project, which was scheduled to start filming early next year. 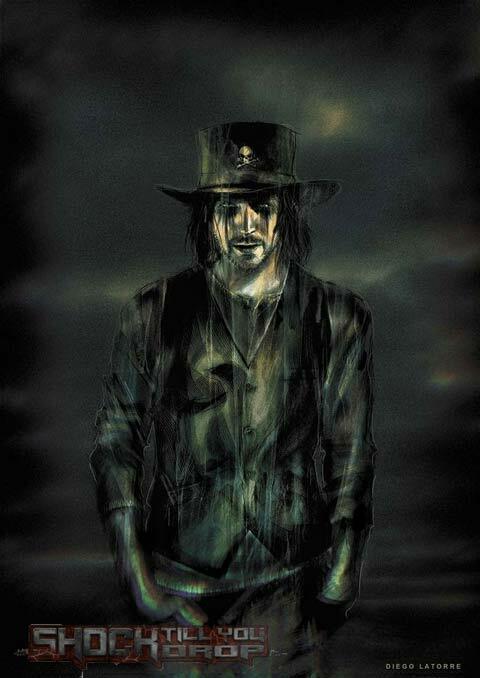 As a result, we may never get to see what Cooper would have looked like all gothed-up as Eric Draven, but thanks to some recently released concept art we at least have an idea of what he would have looked like. 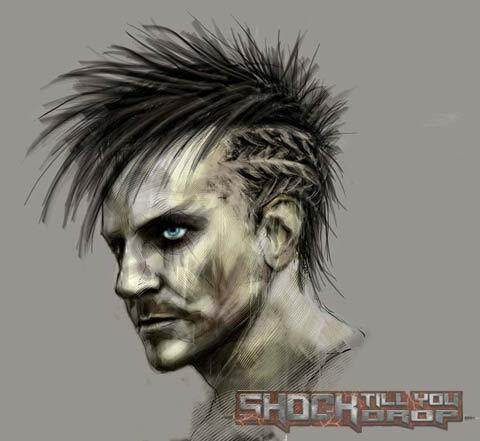 STYD has received a full gallery of images from artist Diego Latorre that give us a surprisingly realistic look at Cooper's version of the Crow. Check out a few of the images below and head over to the source for the rest. It looks like the biggest point of contention was the hair, which seems to range from long and flowing to high and tight, to whatever that first one is, to Slash hat. It should be noted that all of these images could have ended up being rejected, as they were simply Latorre's ideas. 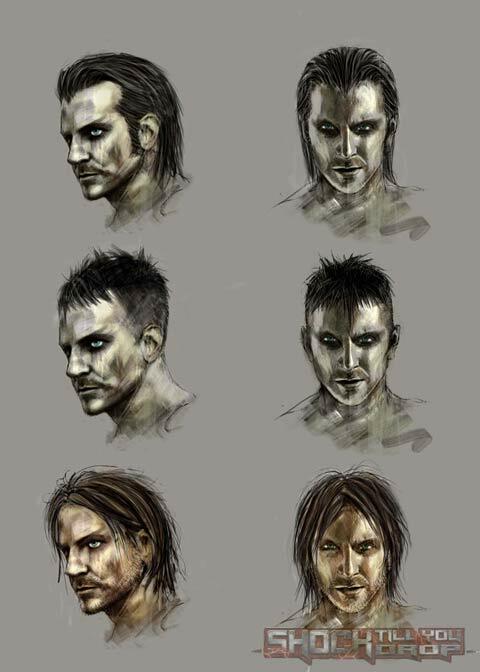 Said the artist, "The Crow images published are very early production sketches and are based in my own visual interpretation of the character and not necessarily in Apaches Entertainment and director Juan Carlos Fresnadillo vision." Even though both Cooper and Fresnadillo have moved on - the former to make Paradise Lost, the latter to direct a remake of Highlander - we can probably expect that Relativity Media is still interested in bringing The Crow back to the big screen. I know most of you (if not all of you) are against the idea of a Crow remake on general principle, but if you had your druthers, who would you like to see cast and in the director's chair?